Over the years I have always been a fan of anything Leupold. This is evident by just looking at the amount of scopes and associated range finders, binoculars found in my safe. Having to work with these cameras for over a hundred hours as the company was super busy trying to pull the rabbit out of the hat we gained a definite insight. Lets put the name brand aside and just look at the item itself and let it stand on its own merit. 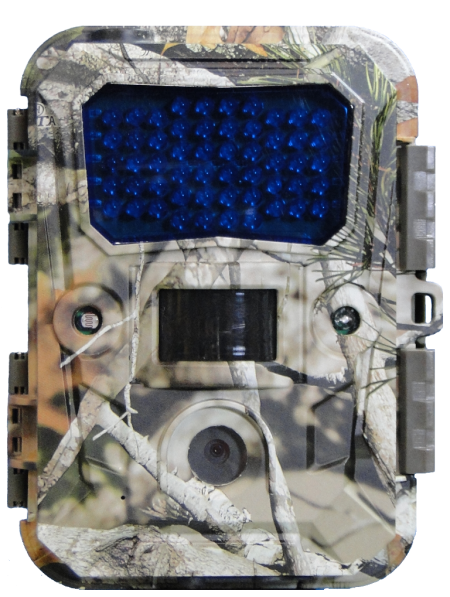 This morning I would have to say if given a choice I would pick a camera like that $129 lunch box Moultrie I40XT over this camera. Even with Moultries varlet inveigled CS system I would choose them. My intention is to see if there is any way I can change my mind as I see just where the changes were finally incorporated into this camera. 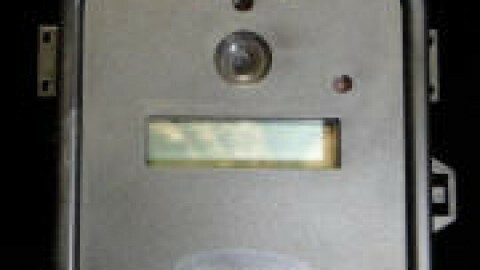 The security plate on the back of this camera with its through hole for a cable is a big plus but the plastic tab protected door still leaves the SD card as an easy target. Being this camera uses an external remote, this would be thief would have to have his own remote to gain the full potential of what he just stole. The price for a replacement remote is $ 150 which could be the price of a couple lesser cameras so that would probably not happen. The documentation has become dog eared and well worn as I have re visited the pages to see if any changes were made there. If there were any they definitely do not jump out at this point. I again will have to say that a very long lap time side by side camera/manual is needed to fully understand the function. My old mind set still wants me to do things the standard way and that leaves me having to back out of a programming function and carefully redoing according to the written instructions. My survey of the new documentation just showed some changes in camera mounting and down loading. 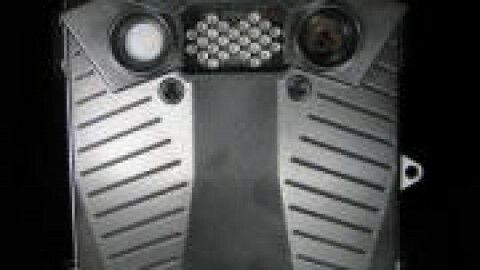 A review of the warranty information has this statement Leupold Stevens requires that after 30 days of purchase, any customer returns of RXC cameras or camera components (other than those sealed in factory packaging) be sent directly to Leupold Stevens for inspection and evaluation". The limited 1 year is only to the original purchaser so a gift of this camera would not have a warranty I guess because it is not transferable. We also put the frontal view up against the lunch box to show that this aint no mini cam. 07-14-2011 update: Stacked full of new cells and set up without all the date time stuff for a quick check on picture quality and could not get flash pictures and my outside tests produced some great pink pictures (stuck filter) and they were pretty fuzzy. Trigger times seemed pretty fast. This was the out of the box unofficial look but not very impressive so far. We will carefully go through all the programming for the day range and sample pictures as we get to them. Just out of curiosity I wanted to do a quick check to see if we were into more than we had seen during the months of pre release testing. This made me even more interested and I hooked up the remote and did a little task with a great deal of care. The remote right button is flakey so I had to almost pound it in to get it to take then it wanted to do several shifts. After a fashion I managed to finally get the program to take and I headed up the hill to grab the day range picture which had that great old tin type pink look to it. The camera is now deployed because our resident crowd of deer had been standing around waiting for their noon meal so we hung the cam and put out a little more corn. I would not want anyone to think that these animals were from another planet because of the strange new hue they have taken on. With luck we will have night range and sensing done this evening. 07-15-2011 update: We have a pretty strong feeling that this red color is not suppose to be that way but being this is a far improved version of the cameras we have worked with during pre release, we dont know if they decided to just go without a cut filter. I have searched and I did find one other place where the pictures off another RCX-2 were posted and they were also red like ours so we are just going to go with what we have to get on with this review. I discussed this with my catalog source today and they have had returns because of the same. Another marathon attempt to get this camera to function but all has failed. We worked into the night, even in the rain trying to get things going again. Even though we watched our herd feed directly in front of the camera for several hours we had no pictures recorded. What we are seeing very much mirrors some of the things we had already seen earlier and assumed would have been corrected for this final release version. One of our thoughts was that this camera is just not tough enough to withstand shipping or an equivalent ride to the back country on an ATV. 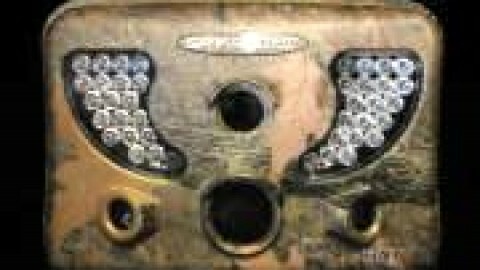 Knowing Leupold as we do, we feel that they would not put these units out without being gone over, so that is why we felt maybe that what ever happened after it left the factory had to be the cause of the failures. In the old west if you had a horse this sick it would have been put down quickly. In this case that probably would not happen because the value of the bullet to do that would probably exceed the value of what is being put down. This review is closed and we will now wait until next year to re address this brand. 07-15-2011 update-2: There have been some confusion as to whether or not this review was performed on a post production camera. Even though that fact is written in the review it was missed and then the questions were asked. This camera was purchased at full price from a catalog vendor and is a post production camera and was received from the factory to the retailer as such. Once it was determined that it was far beyond help we returned it to that vendor as being defective for a refund. Please also understand that these issues were very much the same as those we experienced with these cameras tested since February. We would normally have swapped out for another test unit but because of the history of the same failures and a disappearing window we decided that the report should be made and review closed. Factory personal are also working on this situation and researching the reported failure due to a possible link related to rough handling during shipping and handling. The factory folks also experienced the same issues when the camera was harshly dropped. There were also several other issues that were discovered that was not reported in this review because of the major failure of the flash/card writing and filter. One of the owners of a local sports shop called me all excited about his latest new toy. He was having trouble and wanted me to give him a little help. This new toy was a 2 series Leupold camera and he could not get it to work. The remote would not work with the camera. The bells went off in my head and I was thinking, if I get this thing to work I may have a camera to at least grab some sample pictures from for the review. He had charged the required 16 hours and felt he was doing something wrong. I took a lunch break and met with him to go over the camera with him. The remote definitely did not work but I however did get the camera to work. I did not check what the settings were because the program could not be accessed due to the faulty remote. We captured a few pictures and it was apparent that the color was better than we had previously seen but the picture quality still remained fuzzy. I thought about going back and getting one of our old preproduction remotes that worked and set up his camera. I was afraid of doing this because we had just been told that there was a big difference between the preproduction cameras and the post production cameras so to keep from maybe damaging a functional camera I did not do that. That camera is now on its way back also. He has not yet decided to get a replacement but he did tell me if he did I could use it to get some samples. We will just have to wait. The 100 degree days has pretty well put a stop to a lot of the outside activity and the excitement lost about new toys didnt help either. 07-20-2011 update: It seems we have managed to offend some of the factory folks by this report. They feel that it is only fair that we should keep on testing additional units until we can produce a positive review. 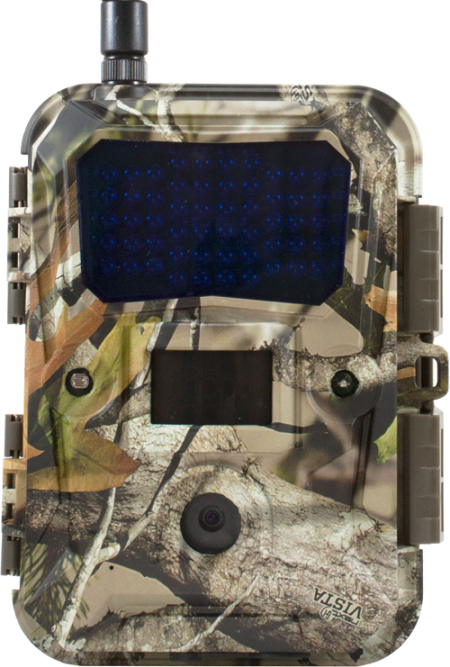 Consumers play the trail camera lottery each time they place an order. In most cases they have positive results. What if they do not have those positive results? Is it not a positive thing to have information for the consumer of the receipt of a defective camera? Of course it happens with many and we have had the same thing happen many times. Is it not fair that we report this? We will purchase yet another unit and when we eventually have another window open up we will do some testing to at least get some more data out on this camera. The amount of communications that was nonexistent days prior and during the review was explained by being too busy debugging and there were no cameras ready for review. Yet, these cameras were already on the market and we purchased our sample. Again, I will say that we do feel that they were hard at work trying to get a reliable product ready for market. It is just the luck of the draw that we managed to draw a clunker. Some how they say that even with a 100% testing for quality this faulty camera still managed to get out or maybe, just maybe it was as we reported a result of rough handling in shipping. What ever the cause it did happen and we did report it. It looks to be sometime in September before we will again have time to get back to our replacement camera. In the mean time should a space open on the hill we will maybe gather a sample picture now and then. This effort will only be reported (as we did with Bushnell) on purchased cameras and not on any factory supplied cameras (unless indicated). 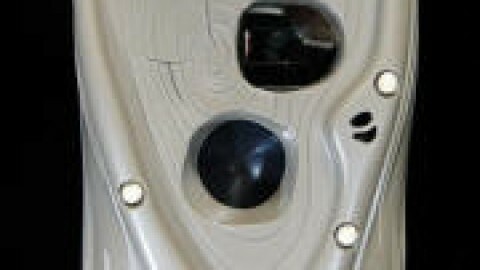 Because of the conflict we will indicate information from factory supplied cameras for comparison and information only. We will also only make a report through our review when we report on the replacement camera. The policy of notifying the factory will still happen but the wait for a result and putting things on hold will no longer be done and the report will include all information as found on all reviews. 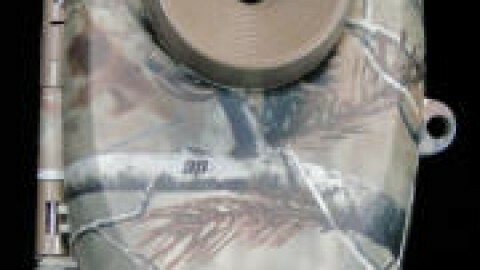 07-21-2011 update: Anthony has been out of town to a show and he has just informed me that we have a couple factory samples???? 07-25-2011 update: As luck would have it our next scheduled cameras arrived but they turned out to be last years cameras that were mistakenly sent so we had to return them. This opened up yet another unscheduled opening so we then went to work and started cleaning up a few loose ends that had been pending. One of the things that we managed to do is to look at this last camera we received a little more. This camera does work; it is just that it does not work as well as expected. This camera has a world of features that are very well thought out. When the base functions like PIR function and picture quality is lacking, all those other great features take on a lesser meaning. Moving up and down through the sensing settings we still had a very hard time just to get the day range testing done. 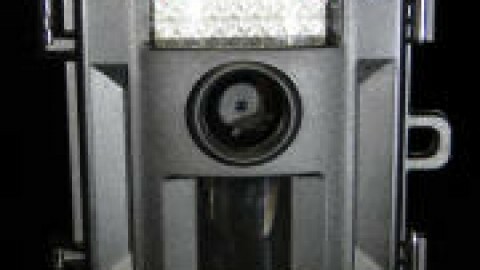 If you take a tour through some of the recent day range samples of other cameras like the little Moultries, Stealth and Spypoint you will see cameras costing way over a hundred dollars less that have far better pictures and sensing. During the same day range testing session we had other brand test cameras sense every time without any hassle. We are still getting reports of more cameras being returned and yet another replacement being tried prior to them giving up because of the trust in the Leupold name. I now have seen posted pictures on some outdoor forums that are of the same quality as our last day range pictures so we feel that it is a fair example of what to expect. Should the replacement shipment fail to arrive today from the other company we will possibly have a little more time to arrange more sample pictures. 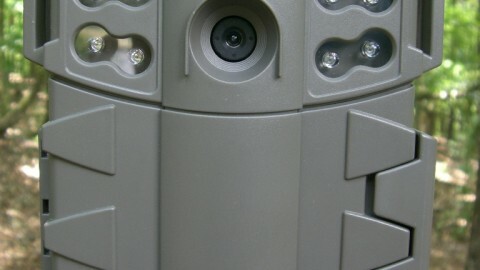 09-21-2011 update: As promised I have spent another 30 plus hours evaluating both the 1 and 2 series of this camera. 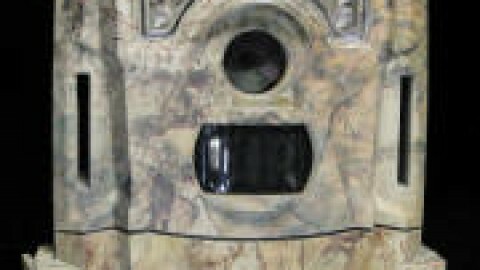 From a feature stand point, both of these cameras are loaded and well thought out. From a functional (engineering) standpoint these cameras are like a Volkswagen buss. There is just too much body for the engine that powers it. The updates addressed some things but the underlying problem appears that you cannot power this much electronics with the battery setup they have chosen. The picture quality and sensing are only fair and do not come up near the quality of other brands costing much less. The only way I would recommend this camera is that you use a bigger external power source and then most of the features can run at their full potential. We do feel that next years cameras will be a whole lot better and this introduction has been a wake up for Leupold.